In 2018, we learned that accountability and commitment are critical factors when solving pay equality issues, and the more transparent companies can be about how they ensure equal and fair compensation, the better. By starting a transparent conversation, employees and employers everywhere can build a foundation based on trust and shape a more equitable future. Hired has unprecedented visibility into tech workers’ salaries because all Hired candidates set a preferred salary and every interview request made by companies include compensation information. Based on these salaries from interview requests and job offers made by our career marketplace , the report examines what the gender wage gap looks like across geographies, industries, and roles. The report also analyzes how factors such as negotiation, race, and LGBTQ+ status impact compensation. We found that in the US 63% of the time, men are offered higher salaries than women for the same role at the same company. On average, these companies offer women 4% less than men for the same role, with some offering women up to 45% less. These numbers haven’t budged since our 2017 report. From an international view, the US is doing better than other markets. In Toronto, men are offered higher salaries than women for the same role at the same company 69% of the time, and the average gap is 9%. London follows with men receiving higher salaries 65% of the time, with an average gap of 7%. And finally, tech talent in Paris are in a position similar to the US, where men receive higher salaries 63% of the time, and the average gap is 6%. 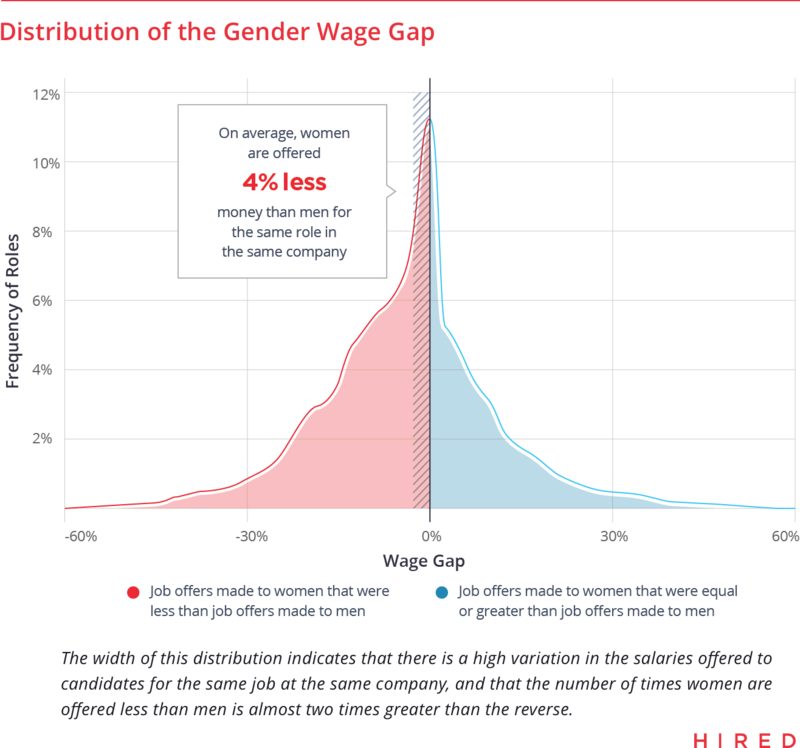 We also broke our wage gap data down by US market, and the results may surprise you. 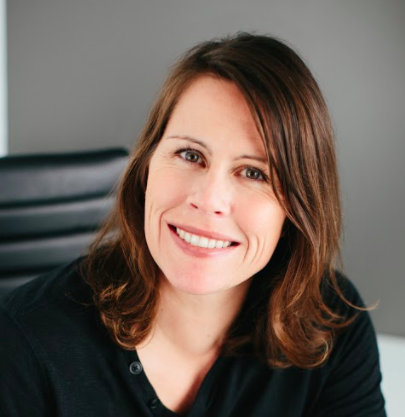 Despite Silicon Valley’s black eye from sexual harassment claims and lagging workforce diversity numbers, women in the SF Bay Area fare better than other US markets. 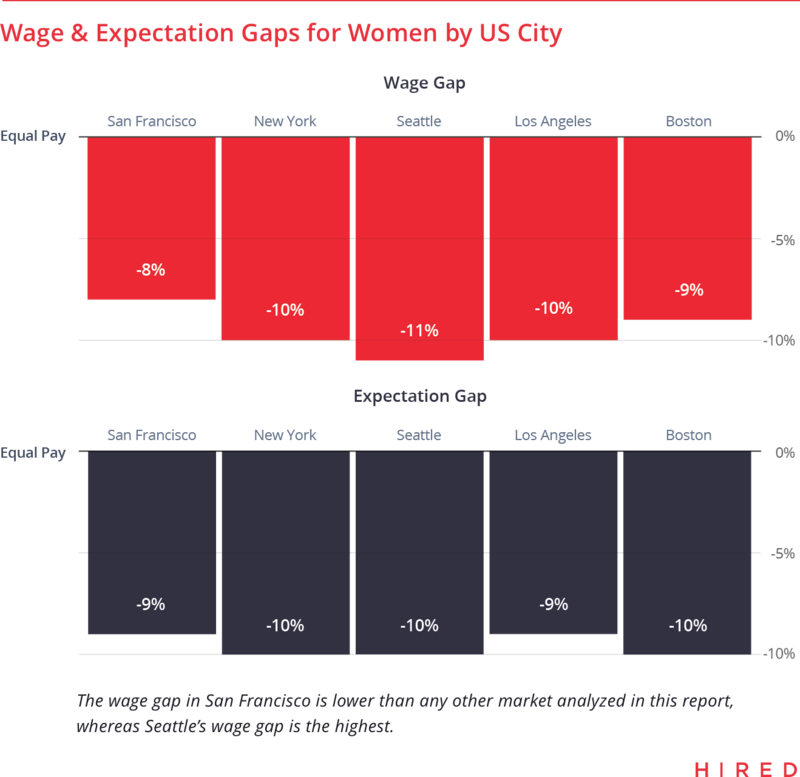 For example, the average gender wage gap in San Francisco sits at 8%, while Seattle, which has the highest gap out of all the cities we analyzed, has an 11% gender wage gap. 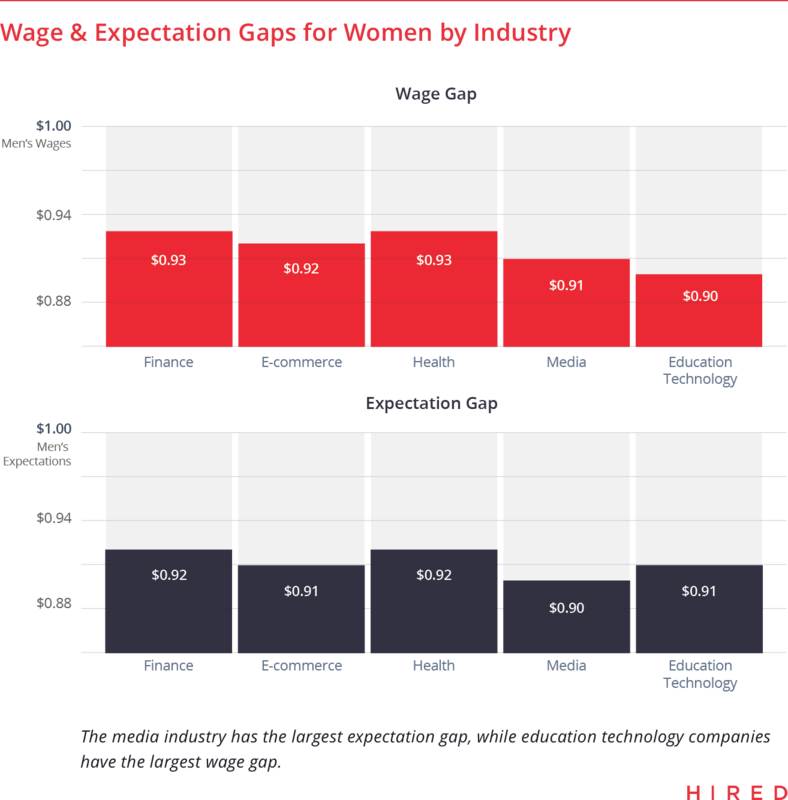 For the first time this year, we looked at the gender wage gap by industry. We found that women who work for education technology companies receive 10% less than what men in similar roles receive, while women in both the finance and health industry fare slightly better, earning just 7% less than men. Some of the most discouraging findings in this year’s report center around how the intersection of race and gender impact wages. 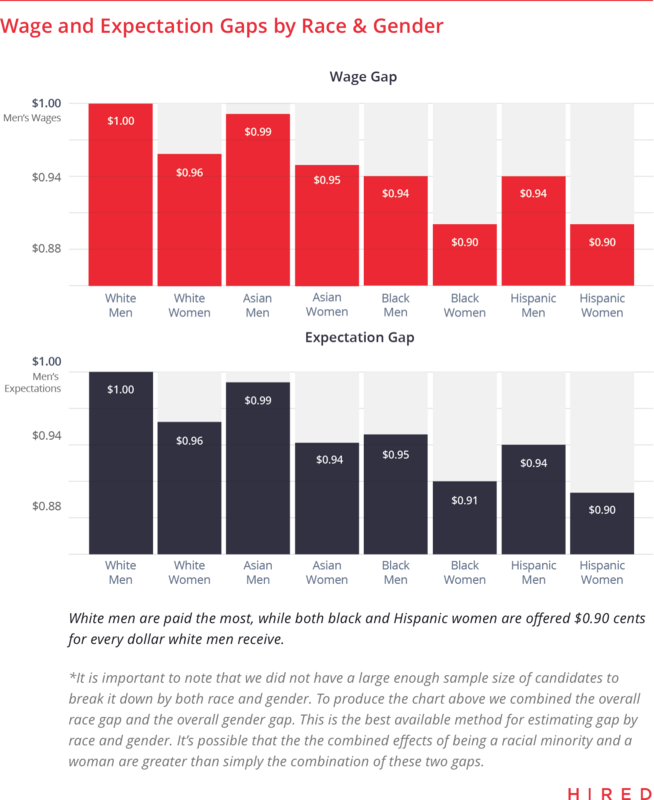 We found that black and Hispanic women are the worst off, making just 90 cents for every dollar white men earn. 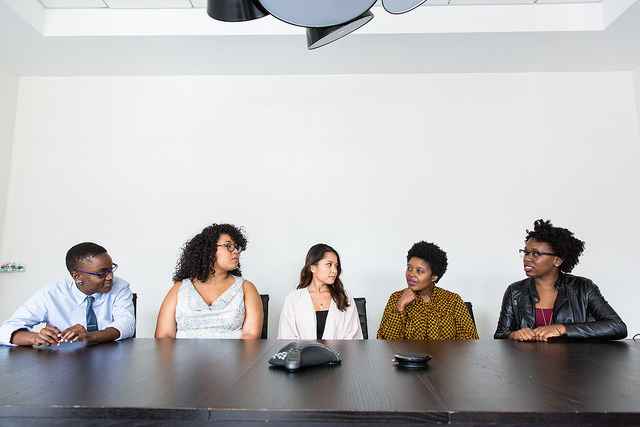 We also found that white women actually command a higher salary than Hispanic and Black men. Since this is our third year analyzing Hired’s proprietary wage gap data, we decided to take it a step further by surveying more than 1,200 Hired candidates about their personal experience with wage inequality. We discovered that more than half (54%) of women reported they had found out they were paid less than a peer of another gender in their same role — compared to 19% of men who reported the same experience throughout their careers. Survey respondents also shared their perspectives on who is responsible for closing the wage gap. 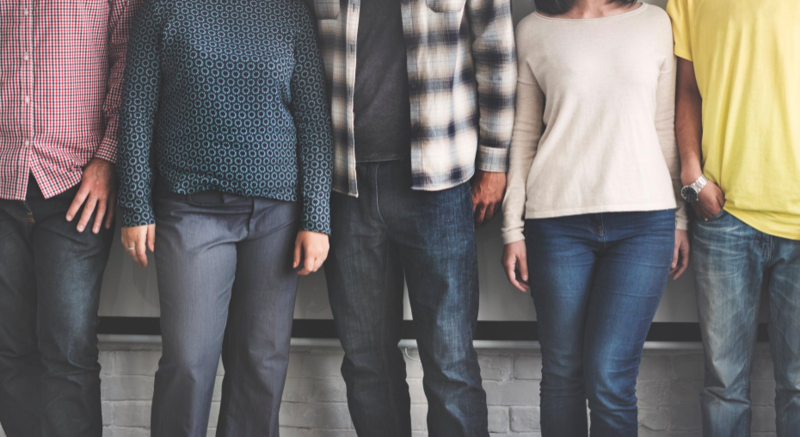 Thirty-nine percent of respondents felt that companies are responsible for paying employees equally, regardless of gender, while another 42% said closing the gap requires a collaboration between the government, companies, women, and non-binary individuals. With these results, it will certainly be interesting to watch how the wage equality measures in Iceland and the UK unfold and if other countries follow suite. 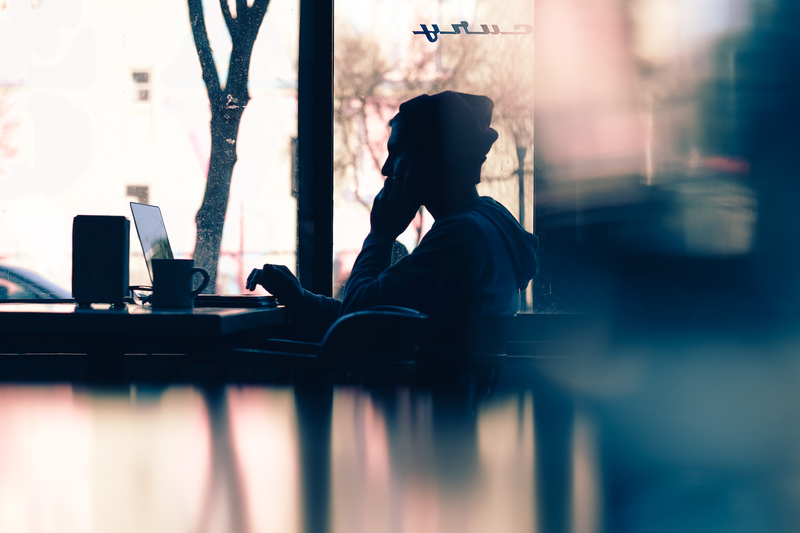 At Hired, we take a long-term view on this issue, and acknowledge that the solution requires diligent and constant assessment from all sides. By providing transparent salary data and insights into wage inequality in the workplace, we hope to empower companies and candidates alike to play a role in building a more equitable future.